Total Wine is now offering Woburn, Massachusetts' Lord Hobo beers as their newest Brewery Direct offering in Florida. I decided to start with BOOM SAUCE, one of their New England Style IPAs to start. I've seen this beer bragged on over at that Twitter site, too, so looking forward to this! 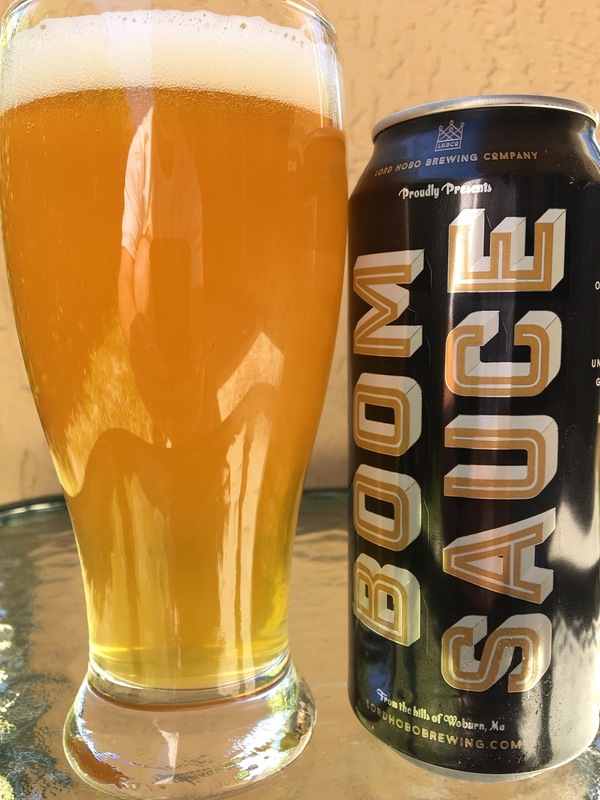 BOOM SAUCE comes packaged in a pounder can with big bold lettering and not a lot of other information or storytelling otherwise. Pretty cool. 7.8% alcohol. Canned 04/21/17. Excellent aroma full of tropical fruity orange and pineapple. Similar flavors to start as well: orange, tropical pineapple, nice sweetness. But that is definitely followed by some piney bitter balance. Tangy, a little spicy, some alcohol and light astringency show at the finish. Pretty tasty beer!